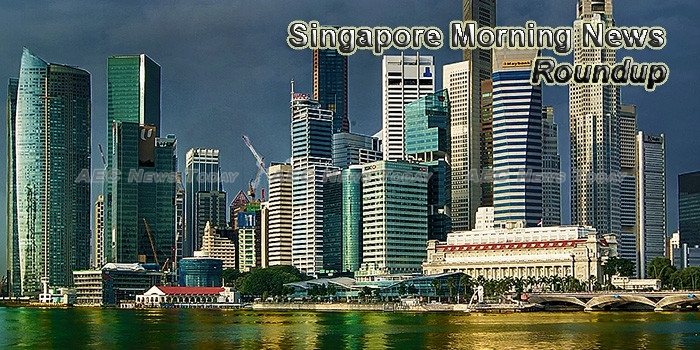 Singapore’s government gave an upbeat outlook on the economy, saying it will probably expand more than 2 percent this year as exports continue to strengthen. Auto giant General Motors (GM) has reported that it will be slashing headcount in its Singapore headquarters to drive stronger financial performance and focus its capital and resources on business opportunities expected to deliver higher returns. At the Infocomm Media Business Exchange 2017, Dr Yaccob Ibrahim, Minister for Communications and Information, said that Singapore’s Infocomm Media Development Authority (IMDA) has identified four frontier technology focus areas-AI and data science, cybersecurity, immersive media, and the IoT. On a small island off the southern coast of Singapore, a French energy company is experimenting with what it hopes will be the future of renewable power storage. Telco giant Singtel continues to see growth in its Australian operations as competition heats up. A projected S$2.4 billion worth of government infocomm technology (ICT) tenders will be given out this financial year, with a big shift to roll out digital and data projects to support the Smart Nation drive, the Government Technology Agency (GovTech) said. The Singapore government will set aside about S$2.4 billion for public sector ICT tenders this year in an effort to co-create Smart Nation with the private sector. ADB worked with the Singapore government in the 1970s to improve technical education at Ngee Ann Technological College. It is still providing education and training for more than 15,000 students. To build or not to build a mega venue is the question Singapore’s events industry is pondering about, in light of the biennial Food & Hotel Asia (FHA) expanding beyond a single event venue and requiring almost 150,000m2 of space in 2018. With the increased emphasis on internationalisation in Budget 2017 and uncertainty in the economic climate, it has become even more critical for Singapore companies to go global. UOB outperformed its peers in sequential loan growth for three consecutive quarters, RHB said. Over 80 per cent of Singaporean news consumers are concerned about fake news, the highest among the five countries surveyed by BBC Global News. Crouching Panda, hidden Roo: Who is getting the hop on Singapore’s food delivery market? Singapore’s love for home delivered food is growing fast, with an estimated $250 million a year dispatched to hungry diners’ homes this year and could grow to $600 million by 2021.